The Piney Woods of East Texas is just a short two hour drive from Dallas. The area is heavily wooded and has many tall pine trees. It is a great area to explore, relax and get away from the fast pace of the big city. 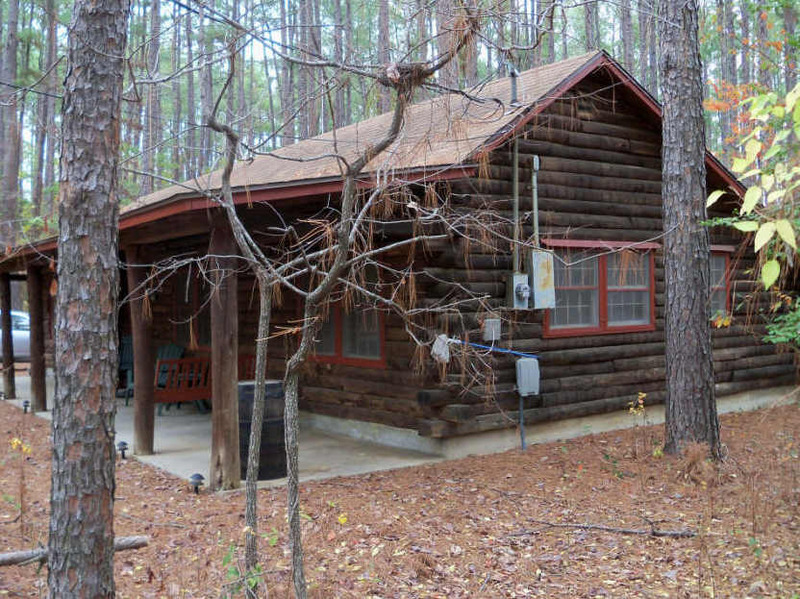 This is a view from the right side of the cabin and this log cabin is located in the Holly Lake Ranch community just north of Tyler and Hawkins. My son and I recently stayed at this nice East Texas Cabin Rental for a fun weekend getaway. It has a nice living, dining, kitchen area, two bedrooms and one and half baths. Click on the East Texas Cabin Rental link above to see more pictures of the cabin.